Cisco's AppDynamics wants to help enterprise IT shift its focus from managing technology to driving business value. To make that change, IT needs to change what it measures. Until now, IT has exclusively focused on technology metrics, such as server uptime, network throughput and application performance. Those are still important, but IT needs to be more focused on how its technology drives business metrics, such as revenue and customer satisfaction. And that's where AppDynamics comes in. Available in the cloud or as an on-premises application, Business iQ will deliver metrics in real time, whereas conventional business intelligence systems work on a daily or even quarterly basis, Prathap Dendi, AppDynamics' general manager of business IQ, tells Enterprise Cloud News. "It's no longer post-transactional," Dendi says. "This gives the CIO a seat at the table with business owners. It changes the way the technology owner is perceived." And that perception is sorely in need of changing. Only 12% of technology and C-level executives believe that IT organizations are very effective at leading digital transformations across their business, according to a recent McKinsey report as quoted by AppDynamics. Business iQ tracks logs for customer interactions over mobile, browser, and Internet of Things devices such as point-of-sale systems, kiosks, cars (for auto manufacturers), and conversational interaction such as the Amazon.com Inc. (Nasdaq: AMZN) Echo. Business iQ can track customers in brick-and-mortar stores using point of-sale systems. With version 4.4, Business iQ will support self-service checkouts, loyalty card kiosks and other in-store sensors. With Version 4.4, Business iQ can map the customer journey from the initial point of customer marketing, such as an email campaign or banner ad; through contact with the company in a brick-and-mortar store, or on mobile, the web, or over email; through to the sale or when the customer abandons a transaction. It can aggregate customer experience and break down by demographics, technology channel, or geographic location. Metrics can include customer satisfaction or revenue. Business iQ can segment the customer base to find the most valuable customer. And the service provides business health monitoring, a dashboard of key performance indicators such as total users, returning users, and of course conversions to revenue. 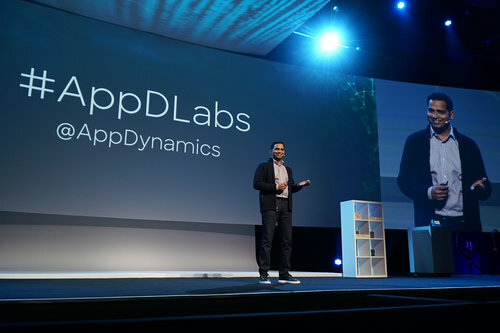 "CIOs will now be able to drive business strategy and growth by elevating their role from supporting the business to driving revenue and influencing business strategy," AppDynamics said in a statement. Mitch the reason I ask is that I have worked in UI and was one of the first people to discuss it in my organization in the early days of the web, I was surprised then as I am now what people define as a good user experience. Mitch the reason I ask is that I have worked in UI and was one of the first people to discuss it in my organization in the early days of the web. I was surprised then as I am now what people define as a good user experience. Interesting question, Maryam. I don't know. I'd expect time spent in app and conversions are two important factors. 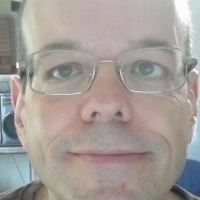 Mitch very interesting what are the criteria they are using to determine if the user experience is getting better with each release?